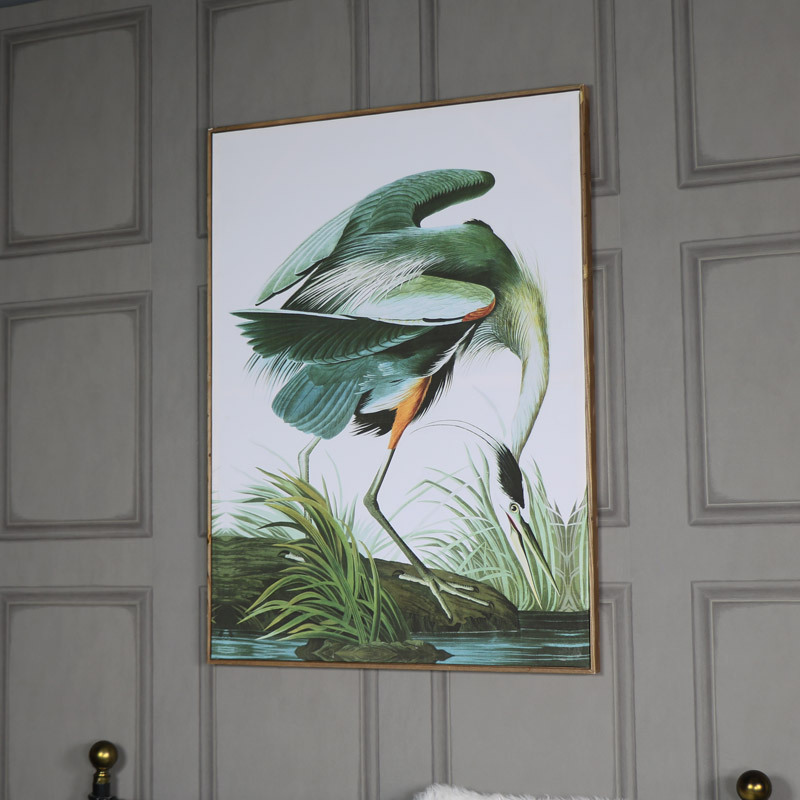 Create a room with character and vivid colour with this stunning wall art. Printed picture of a tropical looking crane standing by a lakeside. Large design with colours that will stand out and make an impact hung in the living room or hallway. A striking statement piece that is visually stunning. 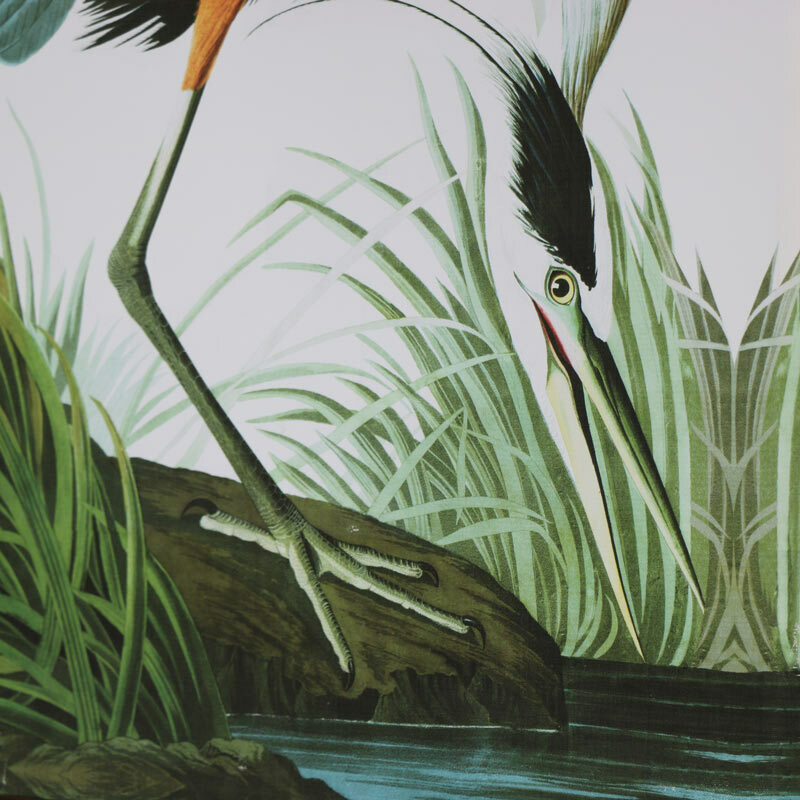 Hung in a large rustic wooden frame, with hues of green and blue standing out against the white background, the foreground features picture of a crane at rest. In a botanical style that will appeal to bird and animal lovers. This picture is sure to create an impact no matter where it is hung. A great gift idea for anyone that loves bright colours and the unusual. Large canvas printed surround by a rustic natural wood frame. Lightweight and easily wall mounted with 2 hooks on the back.